DePuy Orthopaedics recalled its ASR XL Acetabular Hip System and ASR Hip Resurfacing System in August 2010 because of abnormally high failure rates. For numerous patients who had already undergone expensive and painful revision surgery with the defective devices, however, the recall came too late. chromium or cobalt blood toxicity. 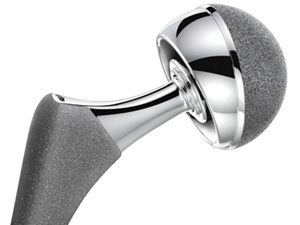 Design problems with the DePuy ASR and DePuy Pinnacle hip replacements can cause the metal components to rub against each other and shed microscopic metal particles into the body. Reactions to these metal particles can cause soft tissue damage, inflammatory reactions and lead to bone loss. These complications can compromise the hip replacement, potentially leading to the need for painful and risky hip revision surgery. At Simon Greenstone Panatier PC, our experienced attorneys will help explain your legal options if you have been affected by a defective DePuy hip implant. If you or a loved one had a hip implant procedure after July 2003 and are experiencing any side effects, I urge you to call us immediately at 1-866-734-5291. Your phone call and personal consultation are free and carry absolutely no obligation.